Here are some quick pic's of my nova. It looks a little sad. Last edited by Mostin; 22-01-2014 at 04:32 PM. Oh I don't know - I've seen a lot worse! The reality is that most Nova owners have them as they enjoy the "project" The designing, the refining and the fitting of parts. My wife is convinced I don't want to finish mine as I nearly always do a job then at a later date go back and change it. Sterling in Garage! Back to work! Yep she needs a bit (from where i'm standing alot ) of TLC. But to be fair to the old girl she's been neglected for a while. As for the garage, yep its a fair size & I can even get around it now after i've thrown out a skip load of crap that in my mind "would come in handy one day". Something tells me i'm going to be in the same camp as you islandman. Yep - definitely seen worse than that, and I too dream of a garage space like that to work in ! Looks like a great project, hasnt got that much to do, you could get that on the road over a winter or a busy summer. 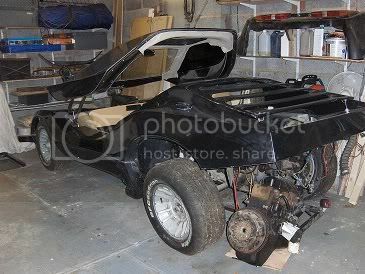 Doesnt look like anything is missing and you have they key components which cause everybody problems which are the seats, windscreen and rare as hell louvre! Whats the plan anyway? keeping the straight four or going back to boxer? Looks like a very strong basis for a rebuild. If the engine works or just needs some working over, keep it and go with that as that will prove quicker to get it on the road. But if you're going to replace it, I recommend going for a boxer, most likely a subaru. Looks in a pretty similar state to Ant's....... Mind you mine was a runner and looked superficially a lot better than that when I bought it, but underneath it was a different matter - requiring probably just as much work as yours will! Enjoy, it will be worth it! Well i've had a good look around her today & yes it will need a fair bit of work but i'm not in any rush to get it on the road straight away. It's more of my next project as I've just about finished converting a van into a camper. The engine you can see in the pics is an old Ford X flow which is past its best. So one of my first job is to think about the engine / gear box. I know this is down to each individuals choice so this is my way of thinking:-The quick & easy way is VW but I don't think this is in keeping with the cars looks. The engine is just to low reving & does'nt sound right for me. So any input from anyone would be a good start (even if its back to VW). Taking into account an engine that they have put in & works as i know there is a big problem with cooling.